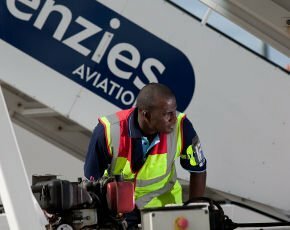 Menzies Aviation, the airport passenger and cargo handling business, has become one of the first UK companies to install and use Microsoft Windows Server 2012 and Hyper-V 3.0 in production. Windows Server 2012 was released generally in October 2012 and Menzies has been using it since November. “We have been testing and piloting Windows Server 2012 since May 2012 and were waiting for the full license to be available generally to purchase it and use it in full production,” Justin Apps, head of enterprise architecture at Menzies Aviation, told Computer Weekly at the Dell Tech Camp Europe 2013. Windows Server 2012 Release Candidate (RC) was released on May 21, 2012 for developers and customers to beta test. In one month, Windows Server 2012 RC was downloaded more than 350,000 times, Microsoft said at the time. Apps and his IT team had been using VMware’s virtualisation product vSphere 4.1 in its UK datacentres. “But as our virtualised infrastructure grew in size, VMware’s licensing was proving to be very expensive for us,” Apps said. Windows Server 2012 Hyper-V server has added features such as multi-tenancy, storage resource pools, network virtualisation and cloud backup facilities. The IT team at Menzies was using Windows Active Directory – Microsoft’s directory service – and started testing it on Windows Server 2012. “The idea started from there and we decided to expand on testing many other applications on the Microsoft’s latest server platform,” Apps said. There is no point paying licensing fees to VMware and Microsoft both, he said. “We could save on licensing by just paying one supplier,” he said. At that time, its IT service provider, Dell, recommended the cargo company participate in Microsoft’s Rapid Deployment Programme. The IT team began the transition to Microsoft’s virtualisation platform Hyper-V in November and currently has about 20% of its applications running on it. “The transition is an ongoing process and by November, we expect to have a majority of our server estate to be on the Microsoft platform,” Apps said. Apps explained that because of the limitations in the previous systems, the IT was centrally controlled. This meant there were fewer rights and permissions to the IT staff on the ground and that it created bottlenecks. “With Windows Server, we have the ability to give them more rights,” Apps said. Active Directory and Windows Server 2012 together with Hyper-V virtualisation brought additional security, according to the company. “Server 2012 and Hyper-V brought a lot of maturity to our IT infrastructure as we are able to move the machines around more easily, do live migration etc. has proved very useful,” he said. One Hyper-V 3.0 feature is called Shared-nothing live migration. It allows administrators to migrate a virtual machine (VM) from one physical server with direct attached storage to another physical server with direct attached server. It requires no clustering or shared storage between both servers as just a small connection such as a Gigabit Ethernet (GbE) cable will suffice resulting in zero down time. For the cargo company that operates in 180 airports around the world, security and zero downtime were key criteria. The IT team has further enhanced the virtual infrastructure by adding Microsoft System Center and the Virtual Machine Manager for more flexibility and security. But the company had been using VMware platform for many years and its IT team is very familiar with the virtualisation system. “VSphere has several good features over Hyper-V and we still use it to run many of our apps but the promise of a secure and flexible virtual environment along with the cost-effective licensing options of Microsoft over VMware is making the transition worth our while,” Apps said. When Windows Server 2012 and Hyper-V 3.0 was announced, many IT pros gave its additional features – such as shared nothing live migration, virtual machine replica, more CPU and more storage options -- a thumbs up and said that it could end VMware vSphere’s monopoly in the server virtualisation segment. With its cheaper licensing costs and storage features, Server 2012 Hyper-V is definitely making it into users’ IT infrastructure, Apps said.